What local businesses should you support in 2017? Trick question. All of them! The best way to generate growth in the islands is to, of course, support your local businesses. We know it’s tough, sometimes those big-box options are too tempting with their prices and convenience. But this is about more than saving a few minutes and a couple of bucks. It’s about supporting the community and the people who work in it. So here’s a few businesses in particular where we’re planning on dropping our hard-earned dollars in 2017. 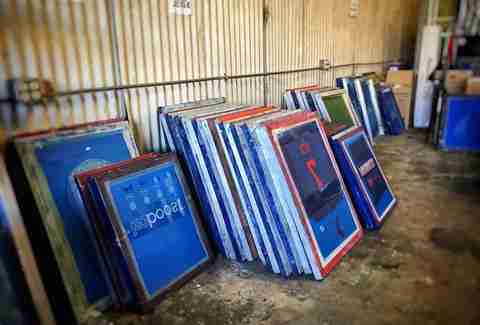 True to its name, this T-shirt printing company began as an alternate plan. In 2004, Chad Yamashiro, a local teacher, printed T-shirts for fun and gave them away as gifts. Before long, friends were asking to purchase his shirts, so Yamashiro connected with a Jonny Gima, a graphic designer to run production, and Plan B Printing was born. The company grew from a one-man operation, printing out of Gima’s backyard to a one-unit warehouse in Hawaii Self Storage to a 5,000sqft warehouse and iThursty (their house brand) store, with 13 employees, with an art division, sales division, and production team. The company is an active participant in the community, working with schools, charities, and local organizations to print high-quality products in a quick turnaround time. Utilizing Yamashiro’s background in education, the company hosted Pearl City High School seniors, so students could learn about profits and margins in a real life business setting. Recently, Plan B Printing was also recognized by the mayor for their participation in the Proud to Be a Jerk campaign, contributing over 500 shirts to raise awareness against underage drinking. Last year, an accidental fire in the OnoPops Kalihi kitchen set back production of the popular local popsicle company as they scrambled to repair and replace equipment. After renovating the facility, the company was met with another setback -- the last sugarcane plantation in Hawaii finished their final harvest, which means the locally made popsicles will have to find an alternate local sugar source to sweeten their pops and beverage syrups. 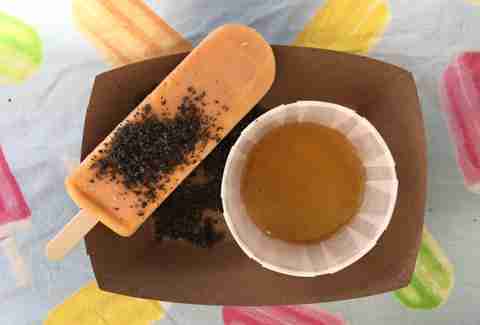 OnoPops began in 2010, inspired by the Mexican paleta and Hawaiian Regional Cuisine, which is a style of cooking that draws from Hawaii’s fusion ethnic influences and sources ingredients from the islands’ bounty. The farm-to-stick company handmakes their popsicles using nearly 100% local ingredients from island farms to create tasty and original flavor combinations, with the few non-local exceptions like Japanese ume and organic almond milk for a few specialty pops. The small, local company has stockpiled three tons of Maui sugarcane, which they expect to get them through May. Find their pops at the new Shirokiya in Ala Moana Center, grocery stores, farmers markets, and select shops throughout Oahu and Kauai. As high-rise luxury condos continue to overtake the city skyline in Kakaako, the small shop in the old Ward Warehouse space continues to quietly showcase local books and publications, educational products, and goods made in the islands, as they have for the last 25 years. 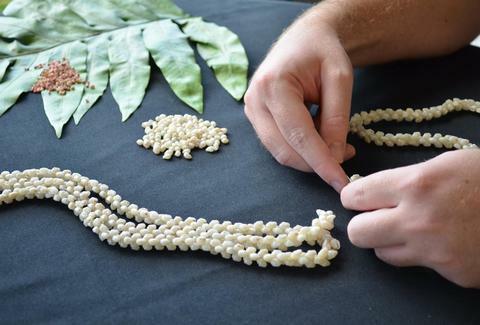 Known as a gathering place and resource for all things Hawaiian, the local shop also hosts workshops, classes, artist and book launches, and special events. 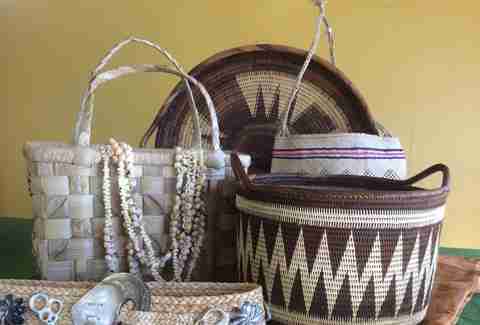 Take a lauhala weaving or jewelry-making class, find authentic local gifts or something special for yourself or stop by to just talk story with the friendly employees and help support the small business that helps keep Hawaiian culture alive. 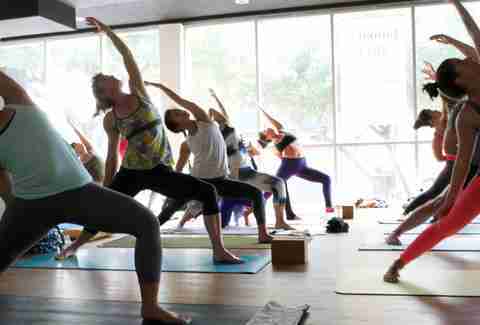 Getting zen often comes with a hefty price tag, but this locally owned yoga studio is completely donation-based, ensuring that yoga is attainable and affordable for everyone. In addition to power yoga, Bhakti Flow, Shakti Flow, prana vinyasa, aerial yoga, restorative yoga, and vinyasa boot camp are offered and range from 60- to 90-minutes in length. The set up is simple: Show up to class and leave a cash donation ($15 suggested) in the box by the door. The first location opened on Piikoi Street in 2011, and today, there are two additional locations, one in Kahala and their newest location across from the University of Hawaii. 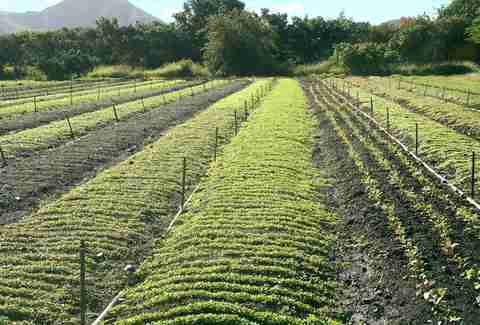 Tucked on 25 acres in Lualualei Valley, this small scale farm not only produces organic fruits and vegetables but is designed to educate youth on agricultural and entrepreneurial opportunities through the land, adhering to Hawaiian cultural values. An acronym for Mala ‘Ai ‘Opio (youth food garden), the farm holds educational field trips called Farm to Fork for as well as supports a youth internship program for high school and college students, who work and the farm, learning the food system while earning college credits and receiving and an educational stipend. Under the 501(c)(3) non-profit organization Waianae Community Redevelopment Corporation (WCRC), programs are supported through grant funding, charitable donations, and through farming operations. You can support MA‘O Organic Farms by purchasing their produce at local grocery stores and farmers markets or joining their Community Supported Agriculture (CSA) program. CSA boxes are filled with USDA-certified organic produce plucked straight from the farm and can be purchased in eight-week commitment, offered weekly or every other week. 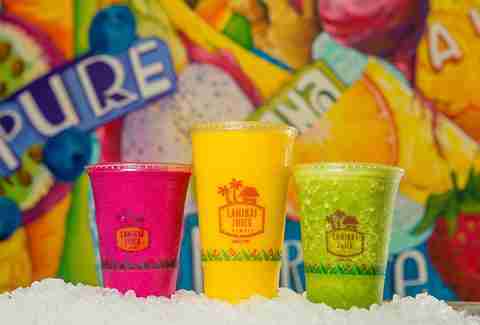 This juice bar has been around since 1997 and was one of the few local smoothie shops that survived when Jamba Juice came to the islands a year later. Focused on sourcing their fresh juices, smoothies, and fruit bowls with organic and local ingredients whenever possible, this small business has expanded to six locations across Oahu, offering healthy, original drink concoctions. Dedicated to supporting the community, the juice shop works with schools to educate children about nutrition and eating healthy diets. In August 2015, the Kakaako location hosts a weekly running club, where runners can meet up and jog 3 or 5 mile routes together, enter for a chance to win Lanikai Juice gift cards and enjoy post-run refreshments and listen to free monthly seminars held by experts in running, nutrition, and wellness. The local shop is also active in the running community and can often be seen sponsoring athletes or events across the islands. Created by four childhood friends who reunited during their senior year of college to create a business plan, the friends began their entrepreneurial venture as a vegan soft-serve food truck on Monsarrat Ave. Serving a non-dairy soft serve made mainly from bananas and mixed with island-grown fruit, vegetables, and herbs to create flavors like lilikoi, green tea, and a roots option (made with beets, ginger, lemongrass, turmeric, and bananas), bowls can be topped with additional treats like granola, bee pollen, or mac nut honey butter and served in either a cup or a papaya boat. After a couple of years operating primarily from their food truck, the friends started a Kickstarter fund to build their own store, and opened their brick and mortar in 2016. 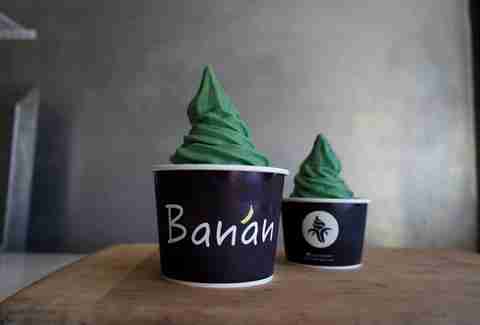 If sweet and healthy cool fruit cups weren’t reason enough to partake in a non-guilty dessert, Banan makes the most of their food waste by recycling banana peels, papaya skins, and pineapple crowns to Kunia Country Farms, ensuring that their product is not only delicious but environmentally responsible. In November 2016, the artist-run community center celebrated 15 years as an incubator for performances, visual arts, and neighborhood youth. The center’s mission is to transform the community with the power of the arts, and to establish Honolulu’s Chinatown as the creative capital of the Pacific. As the primary sponsor of popular First Fridays in Downtown Honolulu, where boutiques, galleries, and cafes open late, feature art exhibits and offer free entertainment, the community center has made an impact in revitalizing Downtown Honolulu from a red-light district to a growing destination for arts and entertainment. In addition to hosting art exhibits and performances, the space offers a research-based after school mentoring program for teens and offer loft living space for creative professionals. 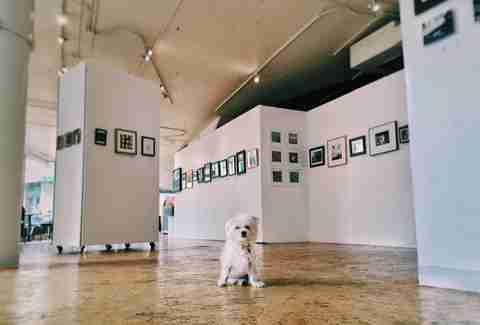 Support the non-profit by making a monthly donation, visiting the gallery or shopping the exhibits. Summer Nakaishi is a freelance writer for Thrillist who likes to shop like every day is Small Business Saturday.